England cricketer Mark Wood has not yet given up on his hope of playing Test cricket. With the English squad for Test matches against India yet to be announced, Mark hopes that he will be considered for selection in his national side. Wood sees an idol for himself in former England pacer Stephen Harmison, and that is understandable as both people hail from the same place - Ashington, Northumberland. At just 6ft tall, Wood does not possess the stereotypical qualities of English pacers - he likes to generate good pace and bowl at 140kmph+ speeds and is a hit-the-deck bowler. He debuted with the England Test side in 2015 against the Kiwis. He made an immediate mark, picking up fourteen scalps from his first four tests. However, injuries constantly attacked him and kept him out of red-ball cricket, while he continued to feature in England's limited-overs' setup. Coming back to Tests in 2017, he failed to impress and was dropped again, as the Ashes came calling. The proved to be a suicide move from the ECB as the visitors were steam-rolled Down Under, and it was evident that they lacked someone who could clock great bowling speeds like Wood. Wood was recently purchased by the Chennai Super Kings for their IPL re-entry, and as the team emerged winners, Wood might not have got the playing time he was looking for as he left the squad prematurely, nursing his dream of playing with the red-ball back home. He also featured in the recent ODI drubbing of the Kangaroos 5-0 as they toured England. The World Cup is edging closer, with less than a year remaining for cricket's greatest extravaganza to unfurl. Having never won the coveted title, The England Cricket Board (ECB) has been investing heavily on the event since 2015, with an aim of a win. The players are equally poised as well, many of them like Adil Rashid and Alex Hales already giving up their Test careers so as to concentrate full-time on their limited-over careers. It was hence most relatable had a fast-bowler taken the same road as well. But Wood has other ideas, despite being widely lauded as a T20 specialist. The most obvious example to the above-mentioned claim would probably be the vital group-stage game against New Zealand in the 2017 Champions Trophy. Wood took the wicket of Kane Williamson with what was a very spectacular ball, one that cannot be forgotten easily. It was a cross-seamed good-length delivery that came off at a speed of 143 kmph and surprised Williamson with the bounce. He could only nick the ball straight to the keeper, and eventually surrender the match as England advanced to the semis. Injuries have been part of Wood's career for a long time now. His left ankle, in particular - has been injured at least thrice, as it struggles to cope with his life as a pace-bowler. This is why the selector feel it is probably better if the man is rested keeping in mind the ever-near World Cup. But the bowler himself does not agree, as he remains committed to the goal of playing more Test cricket. "Test cricket is still the pinnacle for me to play and the moment I let that dream go I might not be the same cricketer," he said in a recent interview. "In the garden, I always played Tests. I always watched Tests on the telly. I'm not saying there aren't good players playing white-ball cricket but, if you're regarded as a top, top player, it's often through your Test performances. I want to play Test match cricket," says the cricketer who is pretty clear about his priorities. English selectors still feel that Wood is not eligible to play in the longest format, given his susceptibility to injuries. As he continues to be a vital cog in the limited-over formats, they are tempted to extend his run in white-ball cricket and utilize him to his maximum potential that way. Yet, Wood still feels he will soon be able to forge an entry into the Test side, and hopes that his name will be there in the squad as the hosts will play India in a five-match Test series, starting August 1st. At the same time, the rest of England would be hopeful that the right-arm pacer will be fit and fine and hitting more decks by the time the World Cup arrives. 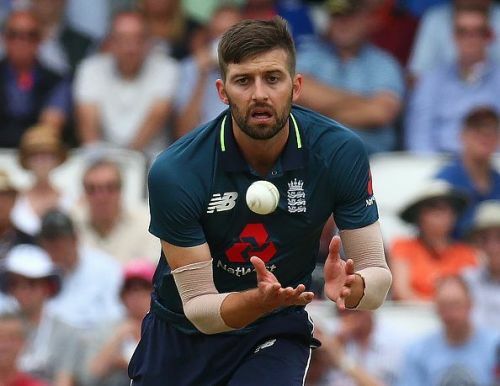 Do you think Mark Wood can make it to the England Test team again? Tell us in the comments below!